As you may know I spent the past 2 months backpacking through South East Asia with H, my husband. Our trip was incredible; we got to see amazing places, eat incredible foods and both felt that our adventurous sides were fed in abundance, but you can read all about our travelling adventures here….what I want to share with you today is my own little blog rethink & why rethinking your blog's purpose is well worth your time!!! Getting away from ‘it all’ is sometimes just what we all need. And for me, having scheduled all my blog-posts in advance and sold my cellphone, I knew that this time away would give me a well-needed break from the blogging, social media world. To backtrack a little, I used to be one those types who owned a shelf of journals, and spent at least an hour a day filling these pages with thoughts, dreams, fears and prayers…but then social media stole my heart and so what was once saved for the blank pages of a book only I would read became a bit of a free for all. Running a blog is all things wonderful but like most things in life, it can start to take up more time than it needs to and so balance once again needs to be attained and prioritized. Before leaving Korea I bought a new journal. In true Korean style, the front page reads “Someday, Dream will come true. When you are bright eyed and bushy tailed you should try to achieve your goal.” There is no other way to explain this jumble of words and adjectives that don’t fit together at all and yet still make you smile, other than, ‘welcome to English in Korea’. On purchasing this delightful bright pink journal, I knew that deep down it was going to be more than just a travel journal. It was my time to rethink this whole blogging, social media thing and come up with a new game plan. On the 21st Feb, the day before we left Korea, I wrote on page 1 of my new journal, “For a while now I’ve needed a new outlet for my thoughts, ideas, longings and fears, away from blogging, facebook and coaching. And here I sit having just found it. Thank you Lord.” And so began my new little journaling journey. Over the past two months I got to rethink blogging, what the purpose of my specific blog was and distinguishing between what was meant for journal space and what for blogging. This shift in thought not only gave me back a sense of privacy in my life, but it also reawaken my love for blogging and the topics I actually want to write about. So stay tuned for mixture of inspirational living, the pursuit of happiness, career advise and tips for starting your own business. For the bloggers out there – I challenge you to spend some time today rethinking what the purpose of your blog is, why you started your blog and who your target market is. Then, according to your answers, figure out what in-fact you should and shouldn’t be blogging about. It’s not about limiting you or boxing you in, it’s all about letting go of ‘vague’ and giving your blog a stronger voice, presence and purpose!! 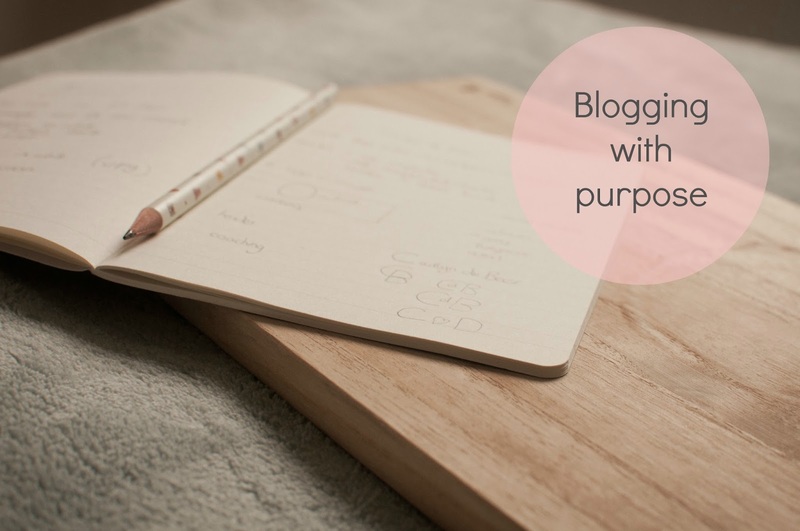 This may mean you buying a journal like me, or possibly the opposite and maybe you are needing to give your readers more access to you and your beautiful, but either way – a little blogging-purpose rethink will remind you of your strengths, your vision and your blogging voice.